No assurance. No confidence. No sale. Precision agriculture (or ag tech or digital farming) is hardly new technology, getting its commercial start in the early 1990s. But in recent years, we are seeing warp-speed adoption on the farm and even faster proliferation of new precision ag tools, platforms and systems. And it’s changing the way we grow and market food and fiber products. Even though the farmers’ understanding and endorsement of precision ag technologies has grown substantially, they still have underlying questions that precision ag tech providers must answer in order to gain consideration, much less earn the sale. Yes, farmers want to know how your product or service works, how much it costs and how it will enable them to harvest more, make more informed decisions and/or reduce input costs. But those details are table stakes. Beyond understanding the features and benefits of your tech product, farmers have some fundamental questions that, if not answered to their satisfaction, can be deal-breakers. They look for assurances. This is true no matter their age, the size of their operation or extent of precision ag adoption in the operation. By considering these questions in your sales and marketing efforts, you can more readily move them from awareness and consideration to purchase. The 5 things farmers want to know about your new precision ag technology. 1. Is the technology easy to use and integrate into my operation? For latecomers, adopting precision ag tech in their operation may be easier than for those innovators and early adopters of the 1990s. 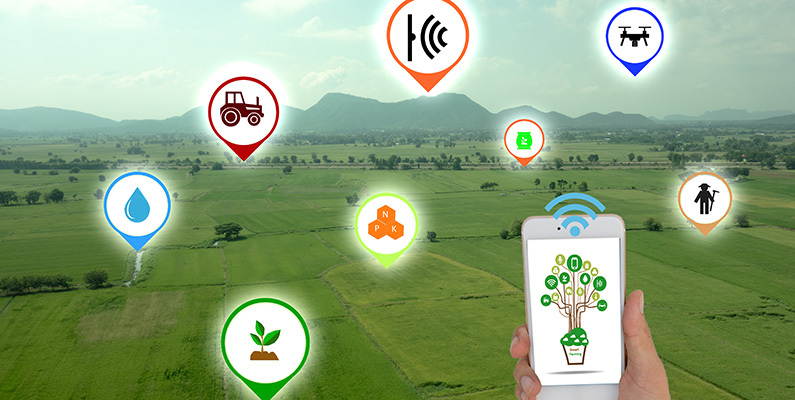 The internet is speedier; data platforms are less clunky and more intuitive; systems have more operating capacity, and open architecture has become a best practice in precision ag tech. Whether they’re early or late adopters, most farmers are not IT professionals. They are farmers with complex farms to manage and operate, expecting the technology that’s going to make them more efficient to be easy to use and function across all equipment and data platforms. 2. Can I actually use it with my current internet service? Cloud computing can be too slow for those using fiber optic internet. So imagine what it’s like with satellite, cellular and broadband, ancient DSL or (gasp) even dial-up lines in the country. We’ve heard farmers complain about it. Some of the savvier ones look to edge computing solutions to access and manage the volume of data routinely used in their operation. This means your system must function with marginal internet service or you need to provide simple solutions to enable usage, storage and transfer of large amounts of data. 3. How soon or frequently will I need to upgrade or completely replace? Because they’re not technologists and because they manage a bottom line, farmers want to know they will get long-lasting utility and value. They want to understand the frequency and extent of patches and upgrades, and prefer to have an honest conversation about the life expectancy of the hardware, software and systems. Then they’ll decide whether to continue the conversation with you. 4. How long will you be around to service it? Mergers and acquisitions are the new norm in agriculture. In the precision ag tech world, start-up investments grew by nearly 30 percent in a one-year period, and the exits through acquisition are also growing. Most farmers don’t always like it, but they understand the drivers of M&As. Still, they are nervous about the consistency and continuity of service and service teams and the possibility of your technology or your company being acquired. 5. Can you assure me of security, privacy and ownership of my data? Farmers, even those running large family operations, value their sense of independence and the privacy that comes with it. They also view themselves as the owners of every aspect of their operation, including the data. Recent debates over ownership of technology and data in the ag arena, along with the growing scope of data breaches outside of ag, have made farmers especially wary. If you haven’t already, familiarize yourself with and adopt the Privacy and Security Principles for Farm Data, which were developed in 2014. Then be transparent about your policies and practices to protect the integrity and their ownership of the data. Your customers will likely have more specific questions about your technology. Our experience this week with farmers and retailers at InfoAg in St. Louis further confirms that understanding farmers’ needs for assurance of experience, ease of use and protection of the data is fundamental to gaining consideration and confidence. Answering these five questions honestly and substantively as part of your marketing messages paves the way to successful selling.